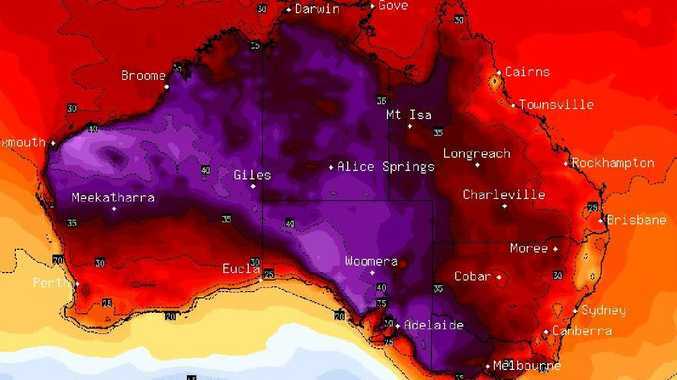 A BOUT of "extreme heat" is nearing its peak across Australia's southeast with Adelaide, Melbourne and Hobart forecast to reach at least 35C today. 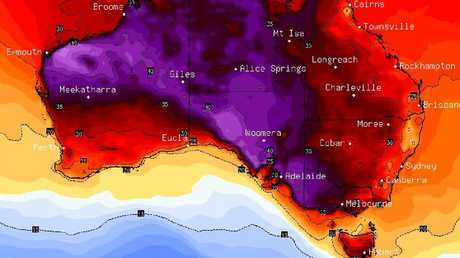 Adelaide and parts of western Victoria could top out at 40C both today and tomorrow. The scorching highs have come as the Bureau of Metrology confirmed on Thursday that, nationwide, Australia had just sweated through its hottest summer on record. Individually, both Canberra and Hobart recorded their hottest-ever summer seasons. And forecasters have said the hot conditions aren't letting up with heatwaves likely to be a feature of March. Adelaideans could be forgiven for thinking the summer weather may never end with the city set to suffer through its hottest start to the autumn season in 11 years. The last time it was this hot was March 2008 when Adelaide experienced six days over 40C, reported The Advertiser. Port Augusta and Murray Bridge could both hit 42C today and tomorrow. The State Emergency Service has advised attendees at the Superloop ADL500 to be careful in the blistering heat. Further east, Vic Emergency has warned "extreme heat can make anyone sick". People over 65, the very young and those with a pre-existing medical condition are most at risk with the mercury set to reach 37C in Melbourne CBD today and 38C in Tullamarine and in inland regional towns like Bendigo. "Heat-related illness can range from mild conditions, such as a rash or cramps, to heat stroke - which is life threatening," Vic Emergency states. The service advises Victorians to drink plenty of water, keep cool and to never leave pets in hot cars: "The temperature inside a parked car can double within minutes." That advice is not being heeded. Yesterday, as temperatures hit 36C in Melbourne, 10 children were found in cars and had to be treated by ambulance crews. Public Transport Victoria has said it will put in place "extreme heat timetables" on all regional rail services today. Some journeys will take longer and airconditioned coaches will take over duties from some trains. A total fire ban has been declared for southwest Victoria for today. Authorities have also warned people to be careful around waterways with 23 drownings during the Victorian summer. In Tasmania, the bureau has seen the lighter side to the heatwave declaring "Autumn is delayed". Tasmania is marking the start of March with a total fire ban for three days across the south of the already fire-ravaged state. As temperatures are forecast to soar into the high 30s, Tasmania could break 11-year March records. Hobart is forecast to reach 35C today and 37C tomorrow and may break its March record of 37.3C from 2008. The highest March temperature recorded in Tasmania was 38C at Campania also in 2008. Dry, hot and gusty conditions, with the potential of thunderstorms, have increased the fire risk. "The conditions forecast for Friday and Saturday are equal to the worst we have seen this bushfire season," Tasmania Fire Service chief officer Chris Arnol said in a statement. 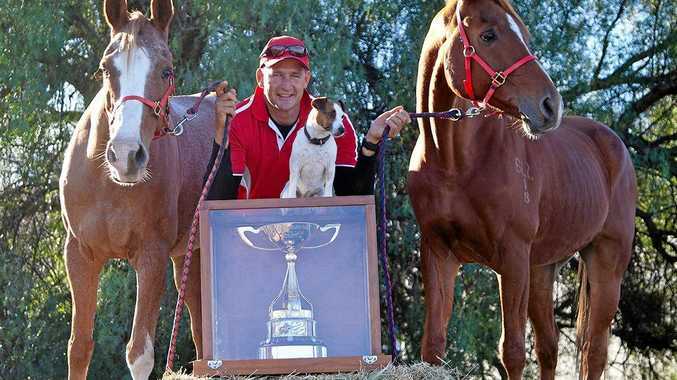 "The last thing any of us need is new bushfires on top of what we are already dealing with." A cool change is due to sweep in late on the weekend, which should pull temperatures in many areas down into the low 30s or high 20s. For Victoria, that change is due to come through late in the day on Sunday. Elsewhere there will be more manageable conditions - 23C in Perth, 27C in Sydney 29C in Brisbane and 30C in Canberra. Bureau climatologist Dr Lynette Bettio said the heatwave events during December and January played a major role in the recent summer being Australia's warmest on record. "The heat we saw this summer was unprecedented. While the final numbers are yet to be analysed, we know it will be the warmest on record for Australia as a whole, and many individual locations will have broken summer heat records as well," Dr Bettio said. She said an absence of strong cold fronts that would normally bring relief during summer played a factor with persistent high pressure systems blocking those fronts from impacting the south of the country, especially during January. "Rainfall was also well below average for many places, apart from areas in northern Queensland where we saw a significant rain event during late January to early February," Dr Bettio said.